This booster can strengthen the 《Link Joker》 clan’s Trial Deck Vol.07 “Kouji Ibuki” released on the same day!! 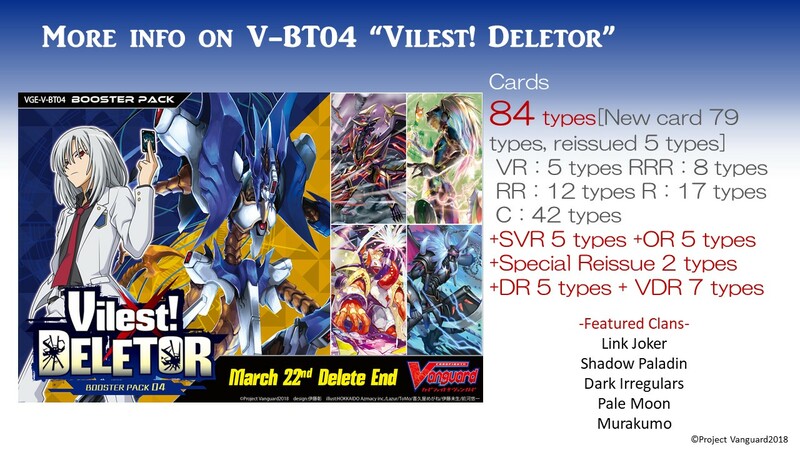 This booster can also strengthen decks from the 4 clans of Booster Pack Vol.02 “Strongest! Team AL4″! 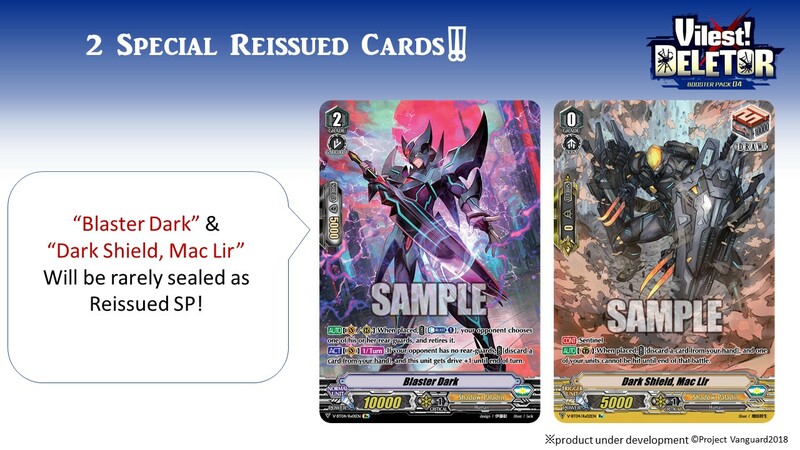 The 5 types of reissue features the First Vanguard and 4 trigger units of 《Shadow Paladin》! 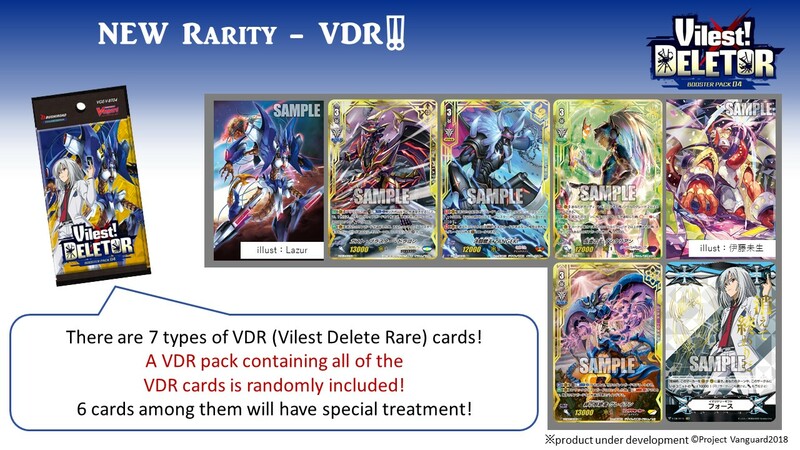 Each box will definitely include 1 VR! 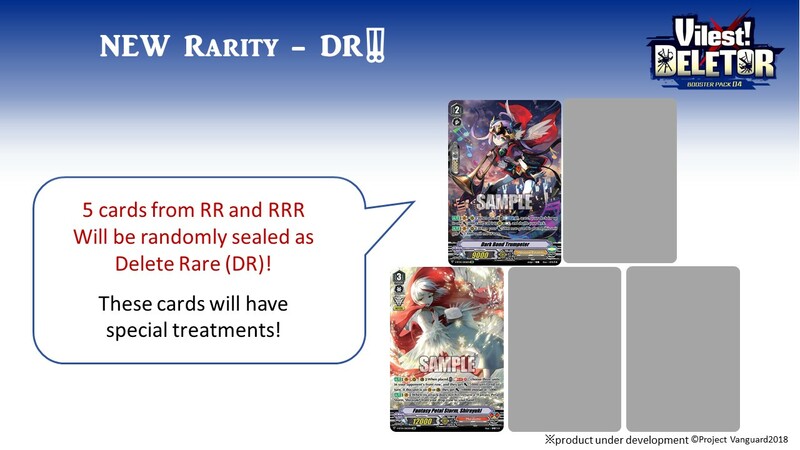 More information about the parallel cards to be revealed!